← UPDATE: A life well lived… now on Craigslist. The early 80s intercepters, especially the 750 are about the coolest looking & sounding bikes from the 1980s. Very few 80s bikes still look good to me. The GPZ wins too. I’m with you on that. 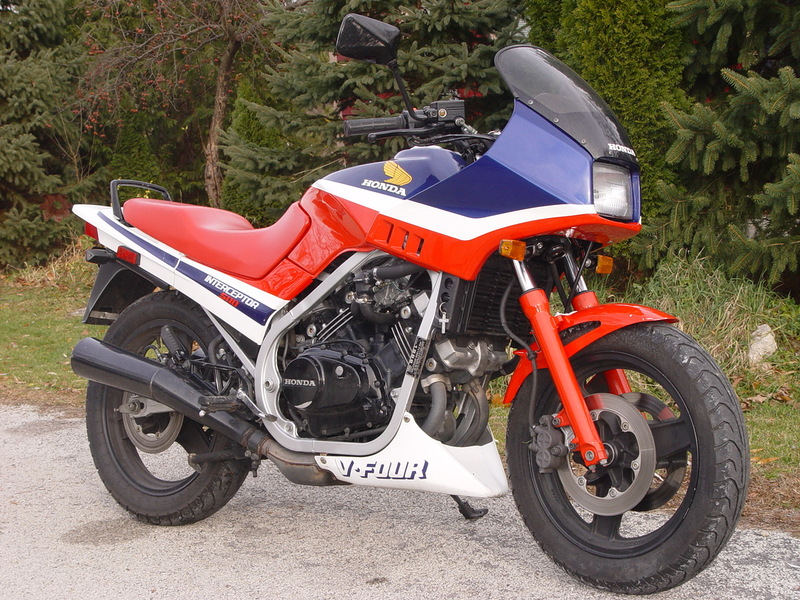 I never had a GPZ, but I had a ZX900 Ninja, and I’ve had 2 VFRs, an 86 and a 94. Loved them both! (I still miss the gear driven cam sound of the VFRs.) As for looks though, I’d probably say one of my favorites is the cafe fairing GPZ1100. not the gpz 750 Turbo? I just looked up the GPZ1100. I’m with you on the cafe fairing/ chin piece version. That is sharp. Actually with the interceptors, they had a similar sport trim level with the quarter fairing and chin piece. 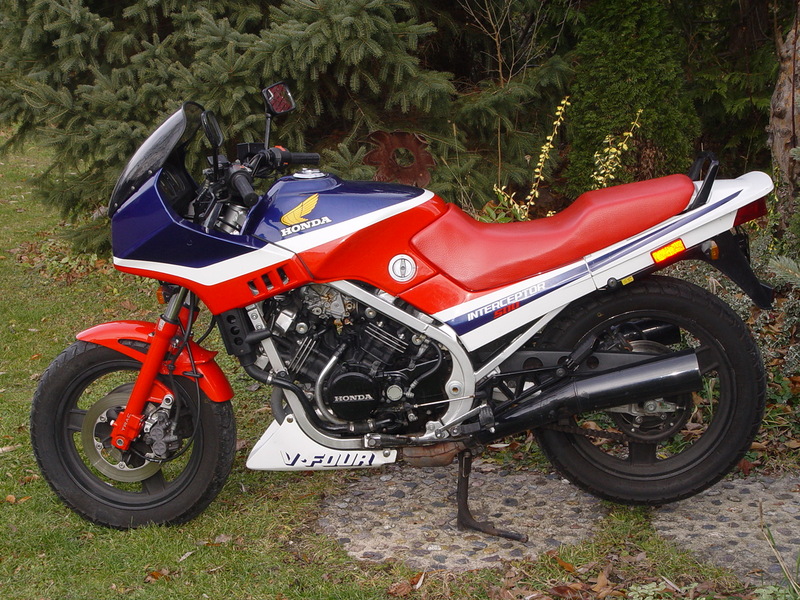 That’s the best looking one to me: VF750 F circa 1983. Zach, I think you are looking at the newer GPZ with the frame mounted fairing. I was refering to the 81-82 models with the fork mounted fairing. Those early VFR’s were sweet. I would like to find a 750 in good nick !